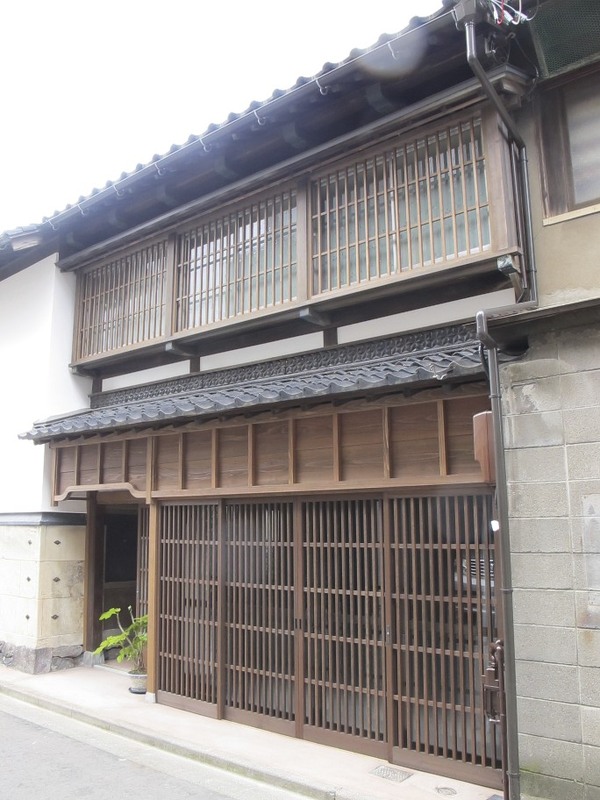 Thank you very much for your interest in our Ryokan. We are sorry for the inconvenience but the reservation from July gets a little mixed up. Even if you can’t reserve a room through on-line reservation, there may be rooms vailable. Please feel free to ask us by e-mails. Back to the Edo period! 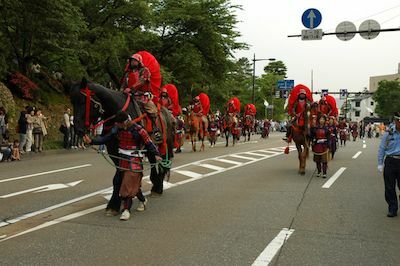 Kanazawa Hyakumangoku Matsuri is the biggest annual festival in the region. 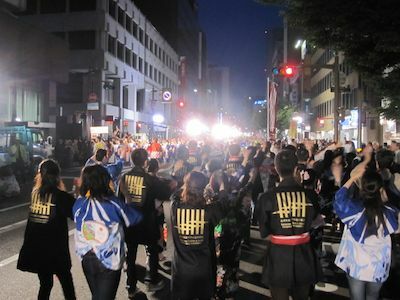 Many events are held over a period of three days in June. 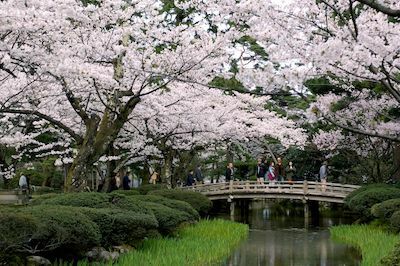 It first started in 1952 to praise the great work of the first lord, Toshiie Maeda, and was derived from an old municipal event. 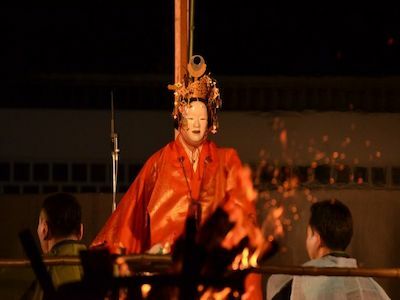 Now, it’s getting bigger and bigger, becoming well-known as a typical show of Kanazawa culture. 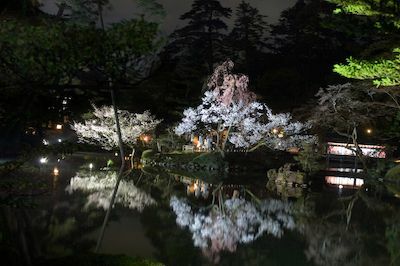 You can see families applauding their kids or parents in antique-looking costumes, couples being served Matcha green tea at the Hyakumangoku tea ceremony at Kenrokuen, or local employees dancing in their summer Kimono. 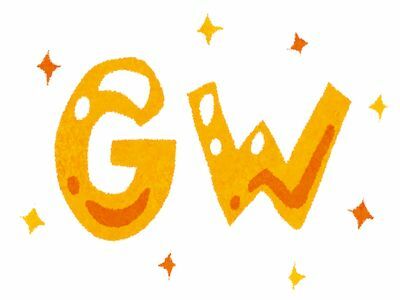 Every year, people are always looking forward to enjoying these three days! 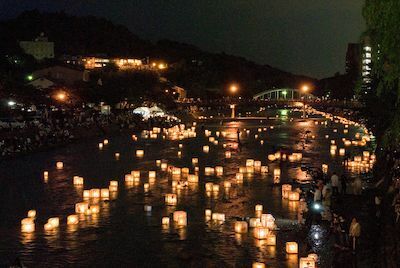 1,500 Tohro lanterns with lovely Kaga-Yuzen patterns will definitely attract you! Follow the lights floating on the water along the Asano-Gawa River, or just wait at the bank to see one coming after another! It’s all up to you! This Friday night at the river draws a good crowd every year! Share an atmosphere of fantasy with the local people! 22nd. Also, Light-up is held.